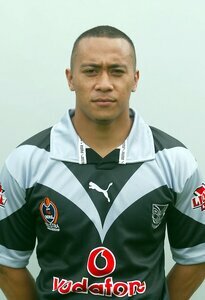 Played Rugby Union for De La Salle College before being signed to the Warriors from the Marist Saints. 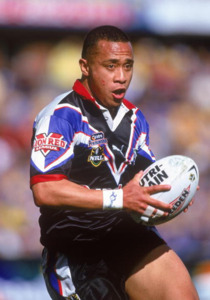 Tough, Western Samoa-born pivot made his Test debut as a fullback for the Kiwis against Papua New Guinea in 2001 in his first season with the Warriors. He played mainly five-eighth for Stacey Jones. 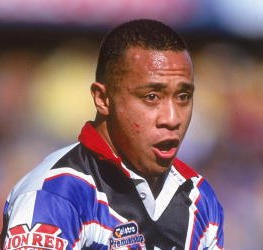 The five-eighth in the Warriors’ team that lost the 2002 grand final to the Roosters, Tony toured Great Britain and France with the NZ squad at the end of the year but returned home after breaking his hand. 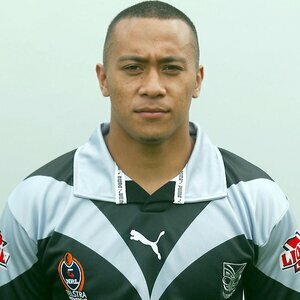 Tony joined Brisbane in 2004 but left the club after only a handful of games to play for Castleford in the English Super League. When Castleford was relegated at the end of the year he signed with Hull for 2005. He would end his playing career with Wakefield Trinity.